The Barnegat Township Police Department is a forward-thinking, premier municipal law enforcement agency. As the first and only CALEA internationally accredited police department in Ocean County, BTPD continues to lead the way in innovative policing and commitment to best practices. Our motto: a regnati consensu translates to, “from the consent of the governed”. This phrase is borrowed from the Declaration of Independence which stated, “Governments are instituted among Men, deriving their just powers from the consent of the governed.” This motto is again a reminder that our power is ultimately derived from the people, and is intended to empower us to defend, serve, and protect the people. The strength of any organization lies in the talent, skills, and commitment of its employees. Barnegat officers begin their journey with a rigorous and incredibly competitive selection process. 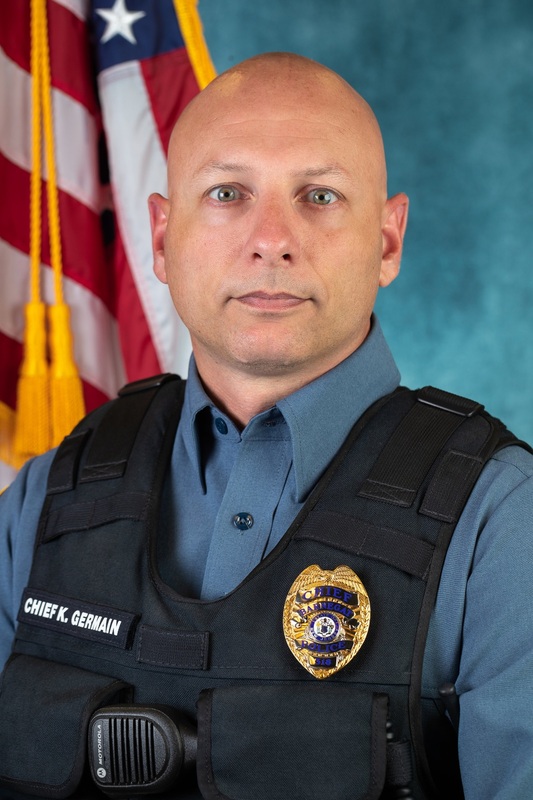 The typical Barnegat officer needs to finish in the top 2% of applicants in order to be selected– a rate among the most competitive in any profession. Each officer receives at least 120 hours of training a year. Beyond possessing the knowledge of thousands of laws, regulations, and judicial cases, our officers are outstanding problem solvers– placing a priority on conflict resolution and de-escalation long before they were trending buzzwords in the profession. 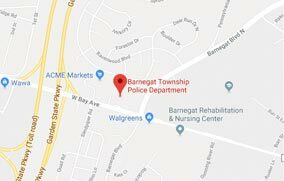 In fact, despite handling nearly 20,000 calls for service and 600 arrests a year, Barnegat officers historically use force in well under 1% of all calls for service. The mission of the Barnegat Township Police Department is to provide for the well-being of the community through effective police provision of order maintenance, law enforcement, emergency services, and crime prevention; to guarantee the constitutional rights of all people, to provide rapid response to those in danger or otherwise in need of aid, and to maintain an open dialogue with citizens in order to identify problems within Barnegat Township and resolve those problems through an interactive partnership with the community we serve. Integrity– Integrity is a core agency value and is demanded of every member, at all times. We recognize that integrity is the foundation of community trust. Empathy—Empathy is among the most fundamental values that we embrace. Empathy promotes cooperation and understanding. The ability to see a situation from another’s perspective is critical to conflict resolution, de-escalation, and collaborative solutions. Accountability– We are accountable to each other, and to the people we serve. Fairness– Treating all people with fairness is basic to human dignity. Respect– Respect for the community is essential for establishing and maintaining the spirit of cooperation needed to be an outstanding police department. It is an honor and privilege to work with the outstanding women and men of this agency in the town in which I grew up. While Barnegat has grown significantly from the one traffic light and 5,000 people that were here when I was born, we continue to strive as an agency to maintain the connection and communication with the community that made Barnegat the choice for thousands of people who left their former cities and towns looking for that small-town feel. Our vision as an agency is simple: to create the environment where residents are free to live their lives safe from fear of crime, and confident in the fact that we will be there to help them solve their problem when they need us. To that end, if you ever have a question, concern, or comment– please reach out for me at germain318@barnegat.net or 609-698-5000 ext 203.